No matter how large or small your fencing needs are, Mills Fence in Glastonbury, Connecticut will bring more than 22 years of experience and a proven track record of exceptional customer service to your project. Owner and life-long Connecticut resident Tom Mills offers free consultations and fence quotes for customers interested in installing a fence around their home or commercial fencing around a business. Mills Fence employs highly skilled installation crews to provide personal attention to your project and install a fence that provides a pleasing aesthetic look and important security for your property. The company offers the finest selection of wood fences, ornamental iron fences, decorative gates and lamp posts. Mills Fence serves as a dealer for high-quality fencing products, including Illusions Vinyl Fence, Eastern White Cedar, and System21, so customers can rely on products that will last for years to come. Not sure what to choose for your home? A member of the team can review the benefits of wood, vinyl and metal to help you determine which material would be best for your needs and budget. 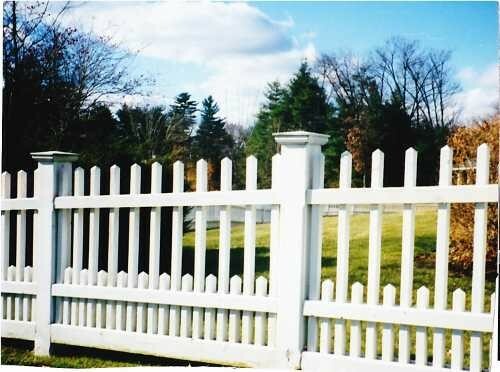 The company strives to keep fence designs affordable, while also offering a wide variety of styles, materials and colors. Let your imagination run wild, and Mills Fence will happily turn your vision into a reality. Mills Fence services customers all over Connecticut, so call (860) 402-7055 today for fence quotes and to learn how the fencing contractors can add elegance and privacy to your property. Announcements & Events from Mills Fence Inc.
Vinyl vs. Aluminum: Which Pool Privacy Fence From Mills Fence Is Right For You?